OAB may be a combination of urgency and urge incontinence; where you experience an overwhelming need to go to the toilet. Often you can’t hold on and have to rush to a toilet. 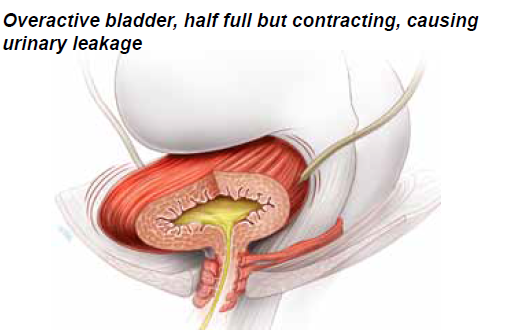 The most common cause is bladder muscle spasms. The Detrusor muscle receives impulses from the brain telling it the bladder is VERY full and needs to empty immediately. 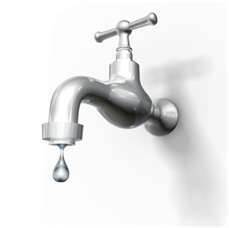 What’s known as an overactive bladder will cause incontinence. 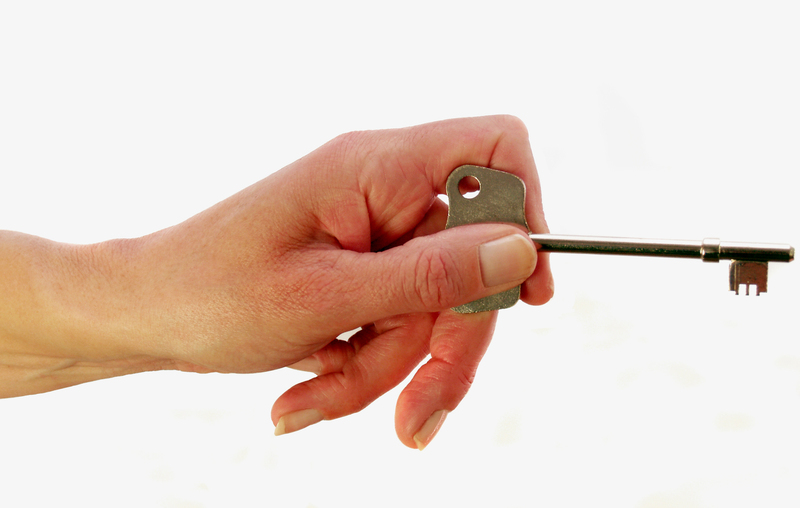 If your bladder constricts too frequently it will leave little or no time to get to the toilet. Your bladder muscle may receive incorrect messages from your brain and it will automatically empty! Also see Chris Maher’s website click onto ‘overactive bladder’ and you will be able to click onto a great animation of OAB. The Interstitial Cystitis Network website has great infomation on OAB. Having bladder stones or tumors can cause involuntary bladder contractions. Nerves in the bladder typically transmit messages to the brain when you are purposefully using the restroom. However, trauma or certain medical conditions can damage the nerves. Traumatic injuries that can affect bladder nerves include back or pelvic surgery, a herniated disc, and radiation. Medical conditions that can affect the bladder’s nerves include diabetes, multiple sclerosis, Parkinson’s disease, and stroke. After menopause, the estrogen levels in a woman’s body drop. This can increase the urge to urinate. 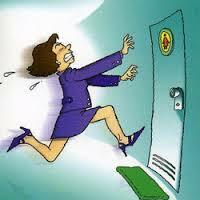 Being overweight can place extra pressure on the bladder muscles, weakening them and leading to overactive bladder. A bladder or urinary tract infection (UTI) can irritate the nerves in the bladder. This can stimulate the urge to urinate or cause involuntary bladder contractions. Alcohol and caffeine can have an effect on the bladder. This means that they cause the bladder to fill rapidly. 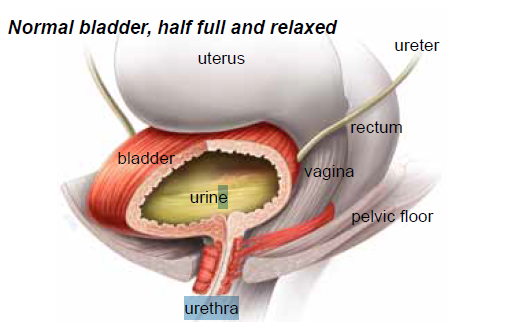 Medications can also affect nerve transmissions or cause the bladder to fill rapidly. This is true for diuretics such as Lasix (furosemide) or Bumex (bumetanide).There are many other food and or fluids that can be classified as ‘bladder irritants’ and may contribute to OAB symptoms. Constipation or having undergone previous operations to the urinary tract can also obstruct urine flow due to possible scarring and or adhesions around the bladder or urethra. Pregnancy and childbirth can weaken the pelvic muscles around the bladder. This can cause it to sag or affect its position. The bladder’s opening can also stretch after childbirth, causing it to leak. So come into see me and we can unravel your problem.